Due to climate change, spring is arriving earlier in the polar regions and other high latitudes than it does at lower latitudes, according to a study. The research, published in the journal Scientific Reports, found that for every 10 degrees north from the equator you move, spring arrives about four days earlier than it did a decade ago. 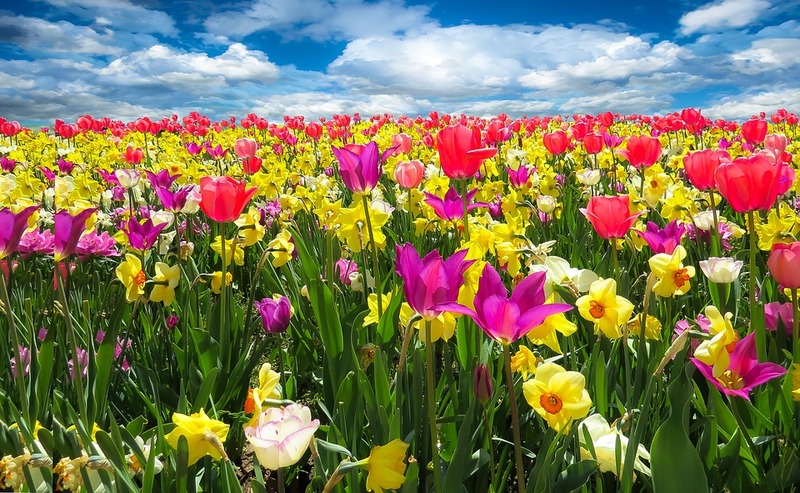 This northward increase in the rate of springtime advance is roughly three times greater than what previous studies have indicated, according to the study led by researchers at the University of California, Davis in the US. For example, at southern to mid latitudes such as Los Angeles, New Orleans, or Dallas, the study suggests spring might be arriving a mere one day earlier than it did a decade ago. Farther north, in Seattle, Chicago, or Washington DC, it might be arriving four days earlier. And if you live in the Arctic, it might be arriving as much as 16 days earlier, researchers said. "This study verifies observations that have been circulating in the scientific community and popular reports for years," said Eric Post, a polar ecologist at UC Davis. "Yes, spring is arriving earlier, and the Arctic is experiencing greater advances of spring than lower latitudes. What our study adds is that we connect such differences to more rapid springtime warming at higher latitudes," said Post. The study is the most comprehensive analysis to date of springtime advance, or phenology, as you move north with latitude. Such signs include birds migrating, flowers blooming, amphibians calling and the emergence of leaves. The researchers analysed 743 previously published estimates of the rate of springtime advance from studies spanning 86 years across the Northern Hemisphere, as well as rates of springtime warming over the same range of years and latitude. Even after accounting for differences in the length, time, and location of those previous studies, the relationship between earlier springs and higher latitudes was strong. Springtime provides important biological cues for many plant and animal species, and it is unclear how an accelerated spring could play out for these species across the planet, researchers said. "Whatever cues they are relying on to move northward for spring might not be reliable predictors of food availability once they get there if the onset of spring at these higher latitudes is amplified by future warming," Post said. "The springtime emergence of the plants and insects they will eat when they arrive is happening faster than the changes at the lower latitudes those birds are departing from," he said.